Arsenal Football Lead Development coach, Simon McManus explained where South African youth players need to try to improve. 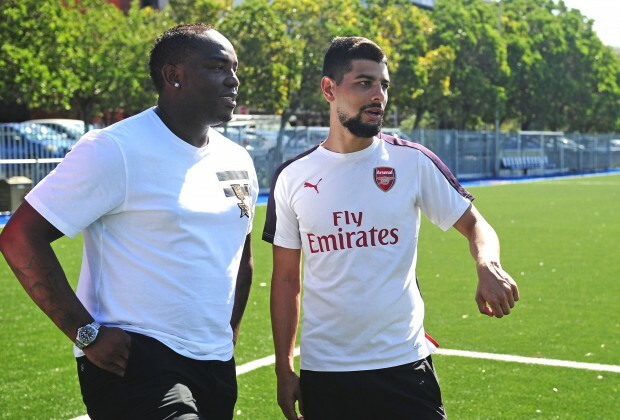 McManus spent three days with the Cape Town City reserve team as part of SportPesa and Arsenal FC’s Coaches To Count On program, allowing the young players to get a feel of how players are being coached in the academies in London. Speaking to Soccer Laduma, McManus explained that while it is hard to compare South African youngsters to the youth set-up in Europe, he has identified an aspect in our football, where there could be a lack of game intelligence. “It is always difficult to compare players from one environment to another environment because you are not seeing them at the same time. But, the players have shown really good respect and attitude and arguably the most important thing is their willingness to learn,” McManus said. “If they are willing to learn from mistakes and success then they are going to continue to improve. In particular, there were two or three players that really caught my eye in terms of their game intelligence, I would say that is the biggest gap here in South Africa, you have a lot of technically and physically gifted players but sometimes they lack the understanding of when to use those abilities. “They are very good at passing and good at receiving the ball, they’ve got power and pace but it’s just the understanding when to use that in the game - which is the (more) tactical side,” he added. We need this constructive criticism. The gap referred to is quite evident at PSL level. The players decision making is very poor.